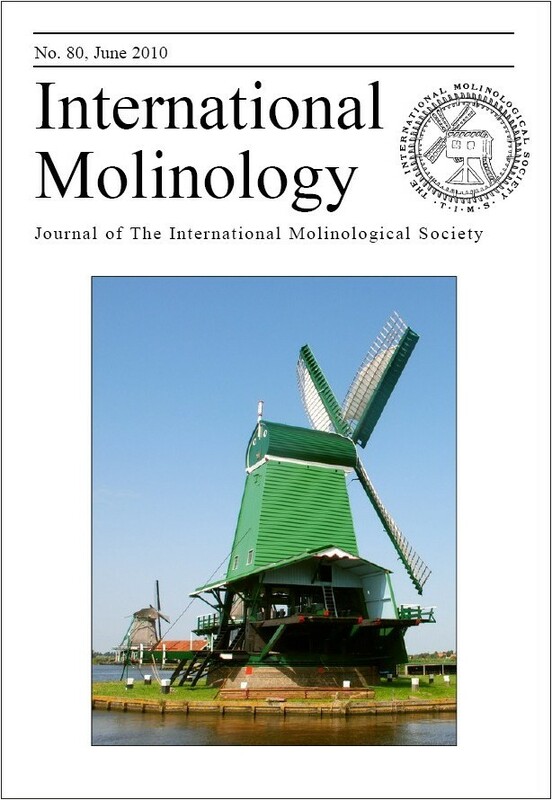 The International Molinological Society (TIMS) is active since 1965, and is the only organization dedicated to mills at a worldwide scale. 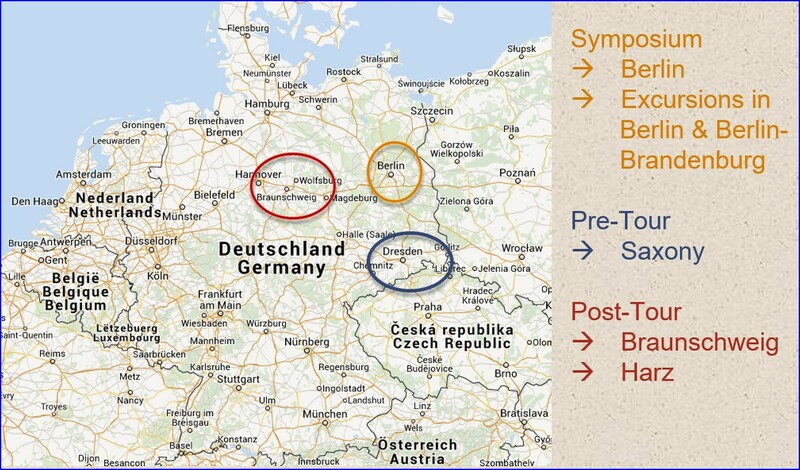 TIMS has around 500 members in over 30 countries. Chris Gibbings , TIMS member and dear mill friend has passed away on the 7th of February. Chris was the first Country Representative for France in the TIMS Council and has written many articles for our journal International Molinology. 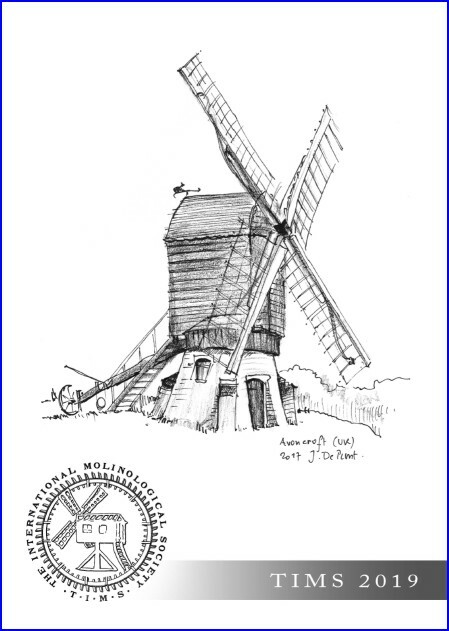 Many will remember the article on Hoarded Tower Mills in IM 75, which he had written together with Christian Cussonneau, and his last articles on the windmills of the Campo de Cartegena in Spain in IM 89, 90 and 91. Chris definitely belonged to the same group of molinologists as did Claude Rivals, Paul Bauters, Michael Harverson and others, who were promoters for an ‘extended’ culturally mill awareness. 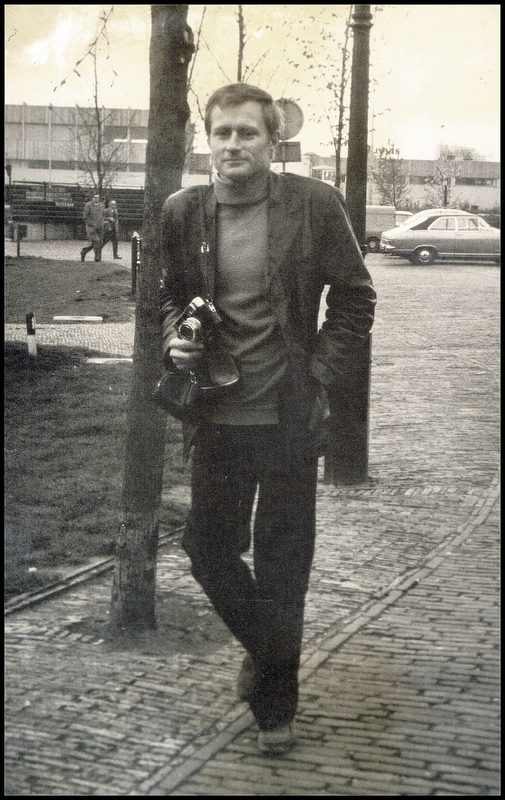 Chris in 1973 at the Zaanse Schans during the TIMS 3rd Symposium. 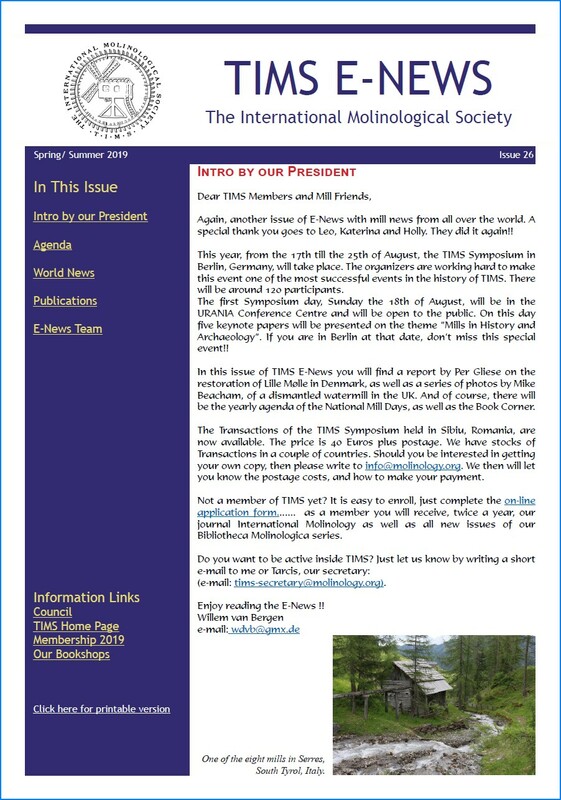 TIMS E-News Issue 26 (Spring 2019) is now available for download. Here you can get additional information and your ticket. Get our Newsletter for FREE !! Brochures are available in many languages! !